Having worked on thousands of roofing projects for homes and businesses throughout Southern California since 1987, Jarco Roofing & Solar Construction has the experience to expertly install any new or replacement roof, including tile roofs, shingle roofs, slate roofs, flat roofs, and single seam metal roofs. We've worked on everything from giant custom homes to mobile trailers and can install or replace any roof at a highly competitive price. Our installers average ten to twenty years of on-the-job experience, and are renowned for their excellent workmanship. Our team has the knowledge to help you make informed decisions and get the best possible results for your budget. When you work with Jarco Roofing & Solar, you'll work with roofing professionals who are invested in helping you achieve your goals, whether you wish to extend the life of your existing roof, invest in a low-maintenance, long-lasting roof, or install a new, specially designed custom roof. As part of our initial consultation, we'll not only assess and measure your frame and roof, but also listen to your needs and help you consider your options. With our years of experience in the roofing industry, we're highly knowledgeable about the different roofing systems and underlayment options (such as synthetic and standard, single and double layers) available. We're also a manufacturer-authorized installer for Boral, Eagle Roof Tiles, US Tile, Redland Clay Tile, MCA, American Slate, Malarkey, CertainTeed, Owens Corning, GAF, and IKO. Written estimates are issued within a few days, and we'll also email our plans when we work on new construction. 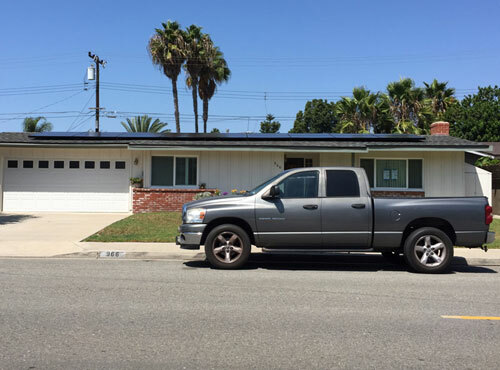 Jarco Roofing & Solar complies with California's Title 24 "Cool Roof" energy codes, which apply to both new roofing systems and re-roofs for both residential and commercial building structures. We also meet and/or exceed the NRCA's (National Roofing Contractors Association) roofing industry standards, as well as any applicable local building codes. As part of our roof installation service, we'll pull any permits that will be needed for the job and arrange for your city inspection, which is required before we can begin construction to confirm that your building's framing is structurally sound and able to hold your new roof. At Jarco Roofing & Solar, our installers work on a project, until it is done. This ensures that each new roof and reroof is completed in as timely a manner as possible. Throughout the process, we remain readily accessible to our clients: we always have someone in our office to answer your calls during the our normal business hours and our job supervisors are available by cell phone. To schedule a free new roof or reroof estimate, call Jarco Roofing & Solar today. Our office is open from 7 a.m. to 4 p.m., Monday through Friday. Once an appointment is set up, we'll send out one of our estimators to your site. For new roof consultations, we find a time that is convenient for you; for reroofs, we can perform our roof inspection and take measurements without you having to be present. Jarco Roofing & Solar Construction is a fully licensed (#800984), bonded, and insured roofing contractor that serves the Southern California area, including cities throughout Canyon Lake, Menifee, Corona and Temecula. We accept cash, check, and credit card, and offer special discounts for seniors.